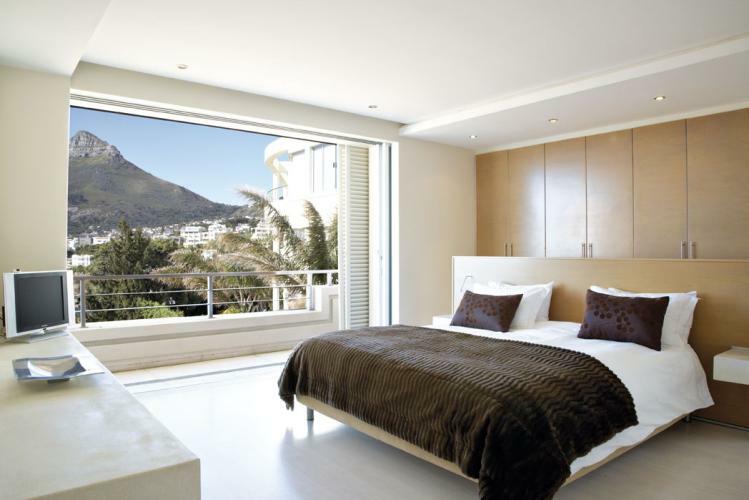 A luxurious 2 bedroom holiday penthouse in wonderful Bakoven, adjacent to Camps Bay. 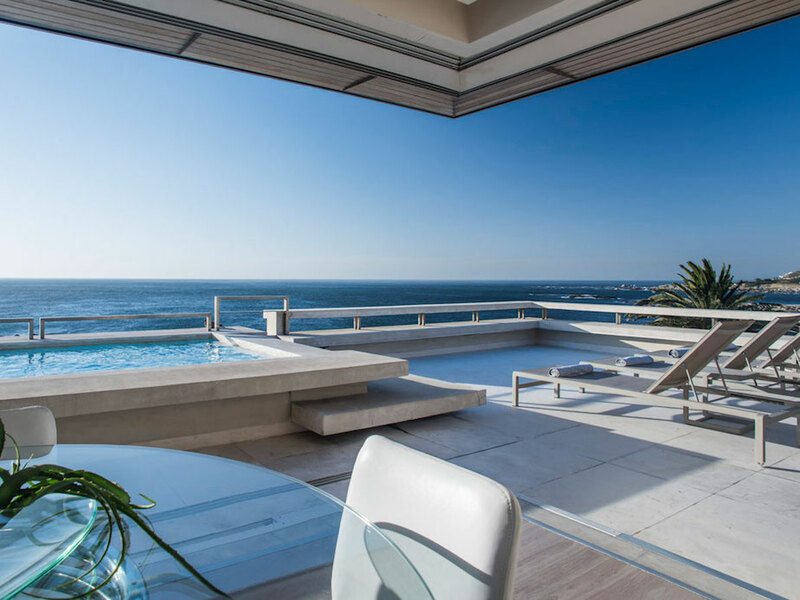 A luxurious 2 bedroom apartment in gorgeous Bakoven, a lovely quiet area right on the Atlantic seaboard, and conveniently adjacent to the buzz of Camps Bay. 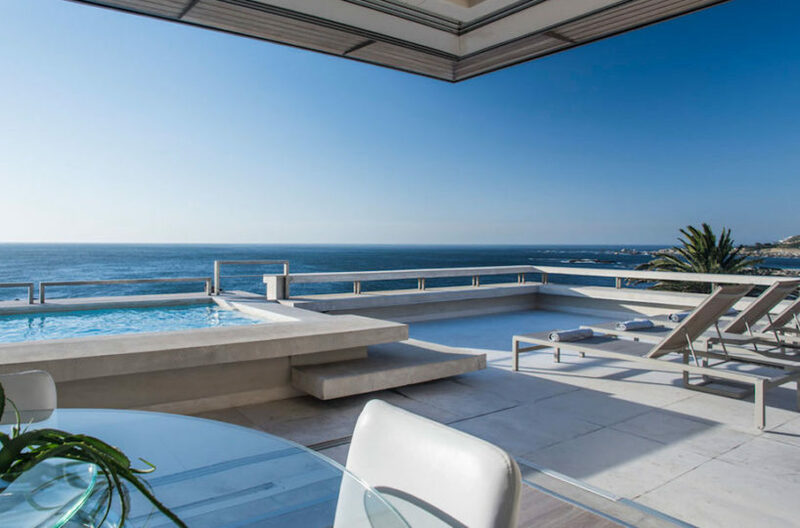 This is a very popular property with a contemporary feel and large entertainment area. 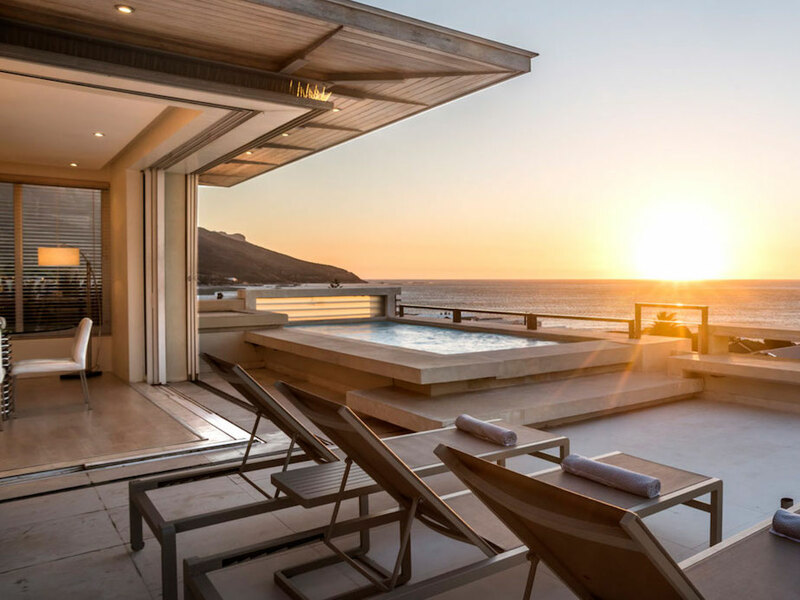 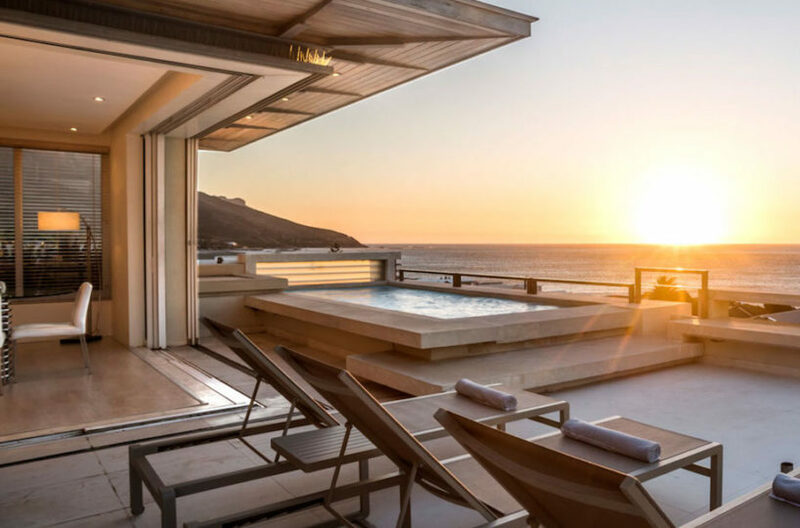 With 270 degrees of unsurpassed sea and mountain views, it is no wonder this magical penthouse has been photographed for holiday magazines worldwide. 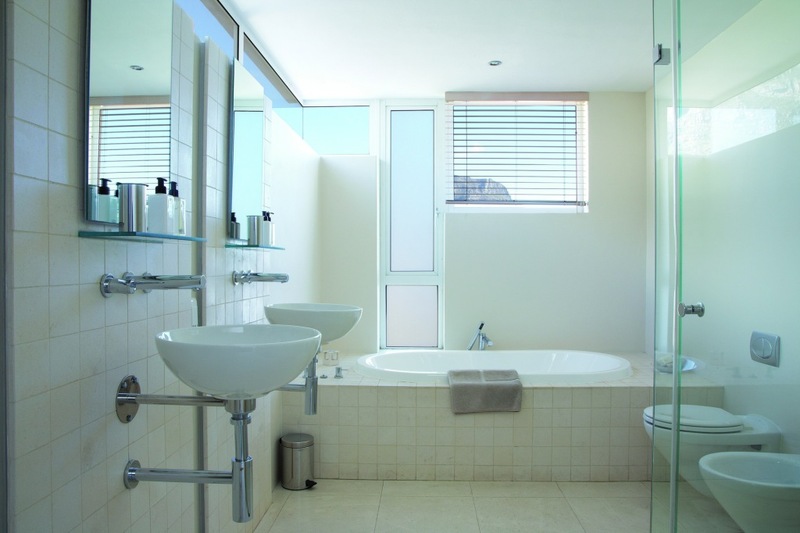 The apartment has two double bedrooms with either King size or twin beds. 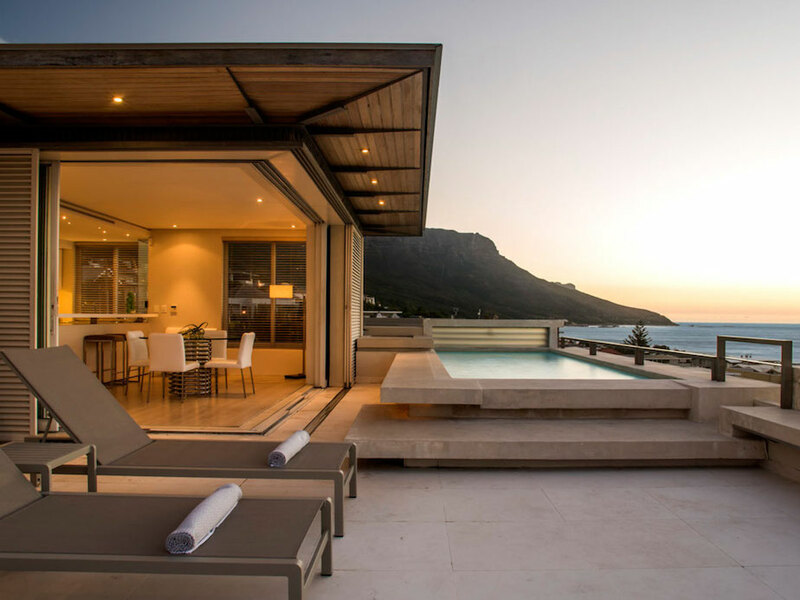 Air conditioning, complimentary wifi, wide screen televisions and modern stereo systems all help to make your stay extremely comfortable. 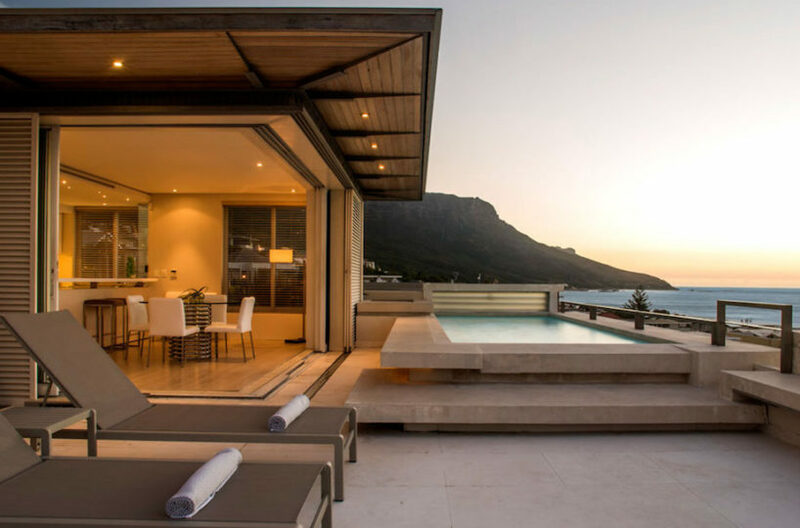 The outdoor area includes a pristine private pool, barbecue and wonderful sea and mountain views from this special entertainment area. There is single garage parking with direct access to the apartment. The holiday apartment has a cleaning service Monday through to Saturday. 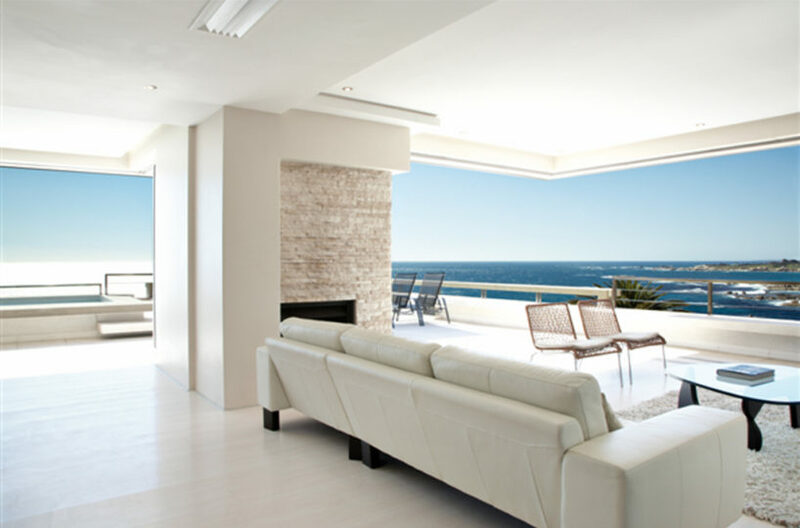 The apartment is 100m from Bakoven beach and a short walk to the ever popular Camps Bay strip, famed for its white sand, cocktails and exquisite restaurants.